At the FAKUMA trade show, our supplier and partner DR. BOY (http://www.dr-boy.de/) presented an injection moulding process. 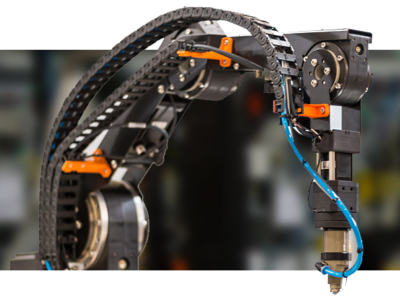 The automated handling of the products is operated by a 4 DOF robolink® joint arm RL-D-RBT-5532-BC (igus standard product) together with a CPR control unit (http://cpr-roboter.de/produkte/igusrobot.html). ALBIS is an igus customer and supplier: https://www.albis.com/ At FAKUMA fair, they presented a very nice “demo plastic factory”, using our 4 DOF robolink® arm RL-D-RBT-3322-BC as manipulator. The complete project has been realised by the training workshop at Albis (“AZUBI” project). Very nice demonstration!